When is a piece of writing actually “final”? In a New York Times article (with the same title as this post), David Geary says that in his ten years working there as a late-night news editor he actually stopped the presses on three occasions. One example of this occurred the night of May 1, 2011. At 10:37 p.m., it was reported that Osama bin Laden had been killed and the president was going to make an announcement. The presses were stopped so that this could be reported in the morning paper. The paper hadn’t been printed and delivered yet. By that reckoning, it had not actually been finalized. 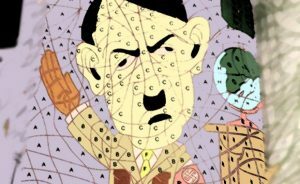 In mid-2017, the Dutch drugstore Kruidvat recalled a children’s colouring book after customers pointed out that one of the pictures was of Adolf Hitler. No doubt all copies were quickly replaced with a different version that didn’t have this picture. In such a situation, both versions would still be “the same book” but the final version would be the only one that was considered legitimate. In this case, it wasn’t finalized until after the already printed and delivered version was corrected. An earlier version of this article misstated Allan Siegal’s title. He was assistant managing editor at The Times, not associate managing editor. This informs readers that the current version has been edited—and includes information about what was edited and when it was edited. All of which leads me to my own blog posts. No matter how careful I am in terms of reviewing and editing what I write before I publish, I sometimes spot mistakes in spelling or grammar afterwards. When I do spot a problem in a post, I fix it. But I don’t bother adding any kind of notation to the bottom of those posts. I simply make the change, invisibly and without comment. The greatest amount of time I left between publishing a blog post and making an edit to it was about a week. Also, the most obvious change I made to a blog post was to change its title a day after I’d published it. After about a week, I generally give up on thinking I should tweak anything. Should I spot something wrong after that, I will likely ignore it—or deal with it in a post reply or a different post altogether. ← I’m jealous of your envy . . .